Dr. Resnicow is currently the Irwin M. Rosenstock Collegiate Professor of Public Health in the Department of Health Behavior and Health Education at the University of Michigan. He is also Professor of Pediatrics in the School of Medicine, the Associate Director of Outreach and Health Disparities Research at the University of Michigan’s Comprehensive Cancer Center, and the Director of the Center for Health Communications Research. Professor Resnicow’s work exemplifies excellence in design and evaluation of health promotion and motivational interventions. His is the leading expert in designing culturally sensitive community-based interventions for nutrition, physical activity, and smoking cessation in minority and underserved populations. He specializes in theory-based tailoring including ethnic identity and self-determination theory. He has worked with numerous universities, researchers and practitioners both nationally and internationally and with governmental agencies including NIH and the CDC. Dr. Resnicow has over 500 peer-reviewed publications and has had continuous extramural funding since he began his career in 1987. His all time H-index is 75 and he has over 20 papers that have been cited between 200 to 700 times. His recent work focuses on integrating his unique tailored interventions into patient populations using innovative communication technologies to enhance motivation and compliance with behavioral changes interventions. Resnicow is an insightful and thoughtful colleague, always available to offer very useful advice. He has also mentored numerous students, postdoctoral fellows, junior faculty as well as mid-career and senior faculty with a special emphasis on working to promote those from ethnic minority backgrounds. His mentorship and sincere dedication to scientific excellence have been instrumental to so many colleagues and he has made a tremendous impact especially on the next generation of health psychologists. 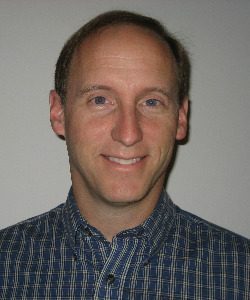 Resnicow has also served in many prestigious national leadership roles including being an elected participant of the US Preventive Services Task Force for Behavioral Counseling Interventions Expert Forum, and Chairing the Site Specific Approaches to Prevention and Management of Pediatric Obesity for NIDDK. He has also served on numerous NIH study section panels as well as national advisory boards, including Chairing the Obesity Prevention Task Force for the American Medical Association and Chairing the Steering Committee on Pediatric Diabetes Prevention Trials for NIDDK. Please join me in congratulating Dr. Resnicow for the 2018 Excellence in Health Psychology Research Award. When I was growing up, my mother gave me some important advice. She told me that I should always notice people who are the “unsung heroes”: the people who do all the “behind the scenes” work but don’t jump into the limelight for credit; the people who do the thankless tasks and make sure things get done; the people who can always be relied upon to do what they say and say what they do. When I think of one who emulates this profile, the first person to comes to mind is Dr. Barbara Ward-Zimmerman. As many here know, a small group of health psychologists worked together to fill an unmet need in the profession by creating an integrated primary care curriculum. All three of the people who nominated Dr. Ward-Zimmerman for this award served on the committee, and I think it is fair to say we all feel that we have Dr. Ward Zimmerman to thank for the successful completion of the course. As you can imagine, most of the people on the committee had varying levels of involvement in course development over time – we started new jobs, had babies, met grant deadlines, and the like. But throughout the seven years we worked on the course, Dr. Ward-Zimmerman was steadfast. No matter her competing demands, she always found time to move the course forward, both with her own direct input and by working with other committee members and outside contributors. Dr. Ward-Zimmerman also provided critical involvement of trainees throughout the development process, ensuring their voice was present in the creation of the materials to meet the needs of the students. She always found time to create and review content, find the needed references, “tweak” the content one more time to make it even better. And she did this all with a great sense of humor, helping us all to laugh along the way, making the task at hand enjoyable while also greatly rewarding. The profession of health psychology owes Dr. Ward-Zimmerman a massive debt for her efforts. Yet, all the while, Dr. Ward-Zimmerman continued to serve as an advocate for integrated primary care and for pediatric patients. 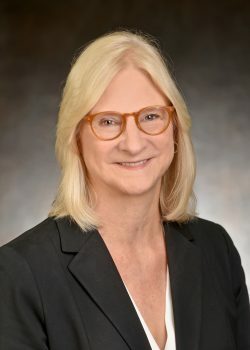 Dr. Ward-Zimmerman has worked as an independent consultant and with the Child Health and Development Institute of Connecticut to provide training in pediatric integrated primary care and best practices and to advocate for health care funding and training reform. Her work has focused on improving pediatric care by increasing the focus on prevention, access to mental health care, and supporting healthy families. Although three people from the committee nominated Dr. Ward-Zimmerman, there was unanimous agreement among everyone involved that this award to thank her for her efforts and recognize her contributions to the field of health psychology is overdue. Thank you, “BWZ” for all that you have done, your steadfast leadership, your sense of humor, and your commitment to improving healthcare. I am pleased to announce that the Society for Health Psychology has a new award in 2018: the Excellence in Clinical Health Psychology by an Early Career Professional Award. The first recipient of this award is Dr. Dawn Jewell. I have worked with Dawn for six years, and she is a perfect example of the type of clinician that this award was intended to honor. How does an early career psychologist get to be featured in a lead article in the New York Times? What makes this even more noteworthy is that Dr. Jewell does not work at a large university or hospital, and she does not even work in a large city. She achieved this recognition while she was working in her independent practice in rural Colorado, where she was providing an innovative treatment: Virtual reality exposure therapy. This is but one example of her extraordinary work. 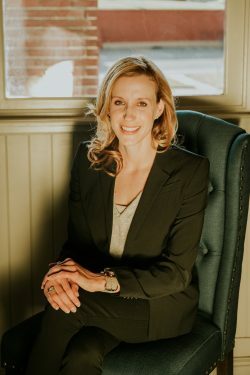 Dr. Jewell earned her Bachelor of Arts degree from the University of Colorado, and earned her PsyD from the American School of Professional Psychology. Her academic training was followed by a postdoctoral fellowship in integrated primary care. Following her fellowship training, Dr. Jewell joined an independent practice in northern Colorado, where she came to specialize in treating patients with chronic pain and psychological trauma. In her practice, Dr. Jewell’s caseload is filled with highly complex patients. One indication of this complexity was that over half of her patients were in litigation over matters related to their medical condition. In her evaluations, Dr. Jewell not only has to identify a patient’s diagnoses and develop a treatment plan, she is also often required to respond to legal questions as well. Even though Dr. Jewell has only been practicing for about six years, she has already offered opinions about legal matters in about 200 cases. These opinions have sometimes required her be deposed or to testify in a jury trial. These are the type of cases that ECPs rarely tackle, but Dr. Jewell has distinguished herself here. In the state of Colorado, Dr. Jewell collaborated to provide testimony to a hearing convened by the state of Colorado about the value of psychology and the biopsychosocial model. As a result of these efforts, the state agreed to increase the reimbursement rate for psychological services. With regard to publications, Dr. Jewell coauthored two translational science “whitepapers,” a term used to describe an authoritative report used by government or industry. These whitepapers were used by a major insurer to clarify its policy, and to educate physicians that the standard of care was to refer patients for presurgical psychological evaluations, and to psychological treatments for chronic pain. Dr. Jewell has frequently presented her research at conferences, and is currently serving as the Web Editor-in-Chief for the Society for Health Psychology. Overall, I think that after only six years of practice, Dr. Jewell has already made extraordinary contributions to the field. Because of that, I cannot think of a more deserving person to be the first recipient of this award: the Excellence in Clinical Health Psychology by an Early Career Professional. Thank you for the opportunity to introduce Dr. Mark Lumley, a Distinguished Professor and the Director of Clinical Training at Wayne State University. I have known Mark for the past seven years in various capacities; as a graduate student mentor, course instructor, clinician, director of clinical training, and now a colleague. Mark has been a very active graduate student mentor and DCT of the clinical psychology program. He has mentored 39 of his own PhD students and as the DCT and helped to mentor another 120 PhD students. His own students are now employed in various health psychology and other positions around the nation and some are even in other countries around the world. 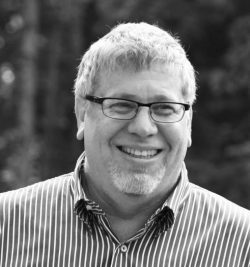 Mark has always supported students to pursue their own research interests, rather than his own, including research on sexual health, exposure therapy to treat traumatic stress in Iraqi refugees, emotional risk factors for substance abuse in chronic pain, and meta-communication in the therapeutic process, just to name a few. When he’s not an expert on a topic, he will dedicate himself to learning with you while mentoring you. Mark’s encouragement and support for doctoral students to complete their own original research for dissertations is noteworthy. This includes mentorship in research design from conceptualization, to data collection, to analysis. To date, he has mentored 20 students’ small scale randomized clinical trials, one of which remains my proudest achievement to date — my own dissertation project. Most importantly, Mark has a unique mentorship style that I am constantly trying to adopt. He tries to both support and push students to their maximum potential. He does this with great empathy, strong conviction and insight into his student’s abilities. From him I have learned to value myself as a person, clinician, and researcher, and how to utilize that empowerment to pursue my goals. He initiated that learning process for me seven years ago, when I arrived in Detroit after a long flight from my home in Palestine, without family or friends in the area. There I found a home in Lumley’s lab. I cannot be more grateful for the unwavering support, mentorship, opportunities, challenges, and care that I found in Mark and the lab family he created, which has immensely facilitated my professional growth. I am very proud and honored to be here and present Mark with this much-deserved Excellence in Health Psychology Mentorship award: Dr. Mark Lumley. The 2018 recipient of the Society for Health Psychology’s (SfHP) Cynthia D. Belar Award for Excellence in Health Psychology Education and Trainingis Sharon Berry, PhD, ABPP. The Belar Awardis designed to honor a psychologist whose work has positively influenced the health psychology education and training community. Dr. Berry’s career, as an internship training director, chair of BEA, recipient of the “other” Belar Award (The Belar Education Advocacy Award), her chairing BEA’s work group on the integration of science and practice of psychology, her leadership and program planning for both the Association of Psychologist in Academic Health Centers and the Council of Clinical Health Psychology Programs all reflect her dedication and passion for our field and her life’s work focused on the importance of quality education in health psychology. Space does not allow a detail description of all those activities, and many others – many of which have touched each of us and our students. But I will mention two—when you walk with Dr. Berry through the halls of our annual convention, it is like walking with a rock star. Former interns line up to hug her and thank her for their excellent training and our colleagues line up to talk with her about the progress of some committee or work group they are on, were on, or plan to be on that she is chairing (and yes, many hug her also). Second. Dr. Berry was the first recipient of the BEA Education Advocacy award (now called the Belar). This award recognizes her national commitment to lobby for psychology on Capitol Hill, for her commitment to make sure there is adequate funding for our education and training programs, and that there are funds needed for psychology to back those candidates who support our education, training, science, and our students. Clearly Dr. Berry is truly deserving of the Cynthia D. Belar Award for Excellence in Health Psychology Education and Training. We all aspire to meaningfully influence students and young professionals during their training and educational experiences. However, there are those individuals amongst us who stand out as exceptionally dedicated and skilled at doing this over the life of their careers. Dr. Kevin Masters is one of these remarkable individuals. Dr. Masters’ impact and breadth of knowledge in health and psychology is impressive, as he has taught thousands of students in over 20 courses of differing content throughout his career. 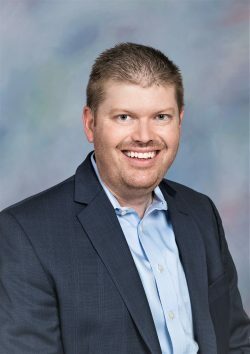 He is a particularly effective, thought-provoking, and student-centered educator who places a high priority on student development both in and outside of the classroom. Examples include his efforts to encourage current and former students to pursue enriching opportunities within professional organizations, such as the Society for Health Psychology, and for scholarly journals, such as the Journal of Behavioral Medicineand Annals of Behavioral Medicine. 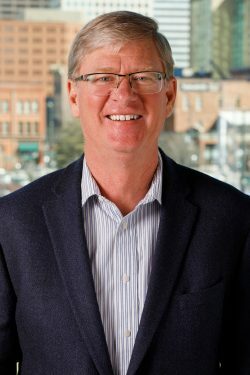 In addition to his work with individual students, Dr. Masters has played a pivotal role in the development and promotion of graduate education in clinical health psychology at Utah State University, Syracuse University, and most recently, the University of Colorado Denver. At these institutions, he has also been active in mentoring early career professionals as post-doctoral fellows, as NIH K-award and faculty research award recipients, and as new faculty members. Whereas the long hours devoted to program administration and mentorship of junior colleagues seldom receive adequate recognition, they are clearly among the most important and enduring legacies that one can have as an educator. Accordingly, Dr. Masters’ dedication to promoting the professional careers for future generations of psychologists is worthy of special mention. It is also notable that Dr. Masters’ publications have had, and continue to have, direct effects on professional training in clinical and clinical health psychology. For example, his co-authored book, Assessing Outcome in Clinical Practice, provides a valuable how-to guide for clinicians and clinical researchers who wish to develop empirical evidence in support of existing interventions or to establish new approaches to treatment. Finally, throughout his career Dr. Masters has demonstrated an enduring commitment to professional service and leadership. Although he is perhaps most widely known for his editorship of Journal of Behavioral Medicineand, more recently, Annals of Behavioral Medicine, he also had a profound impact on clinical and experimental health psychology throughout his tenure as Editor of The Health Psychologist. In this role he promoted an ongoing forum for health psychology practitioners, scientists, and scientist-practitioners to share significant insights regarding the integration of health psychology theory and practice. Dr. Masters also served as a board member to the Council of Clinical Health Psychology Training Programs, as a site-visitor for the APA Commission on Accreditation, and as co-chair of our Society’s Presidential Task Force on Education and Training in Clinical Health Psychology. These are but a few examples of the many contributions for which we honor Dr. Masters with the Cynthia Belar Award for Excellence in Health Psychology Education & Training. Dr. Dunkel Schetter has a long history of senior leadership in academia and professional organizations. Dunkel Schetter is Professor of Psychology and former Chair and current CoChair of the Health Psychology Program at UCLA. She led the efforts to transition the UCLA Health Psychology Program from a graduate minor to a department PhD major. Since 1995, Dunkel Schetter has also directed the NIMH-funded training program for predoctoral and postdoctoral fellows in biobehavioral issues in mental and physical health. She is currently the Associate Vice Chancellor for Faculty Development at UCLA, where among other responsibilities, she leads the Council of Academic Advisors program, which provides faculty mentoring for Assistant Professors. In 2017, Dunkel Schetter completed the Women’s Leadership Initiative Program sponsored by the Office of the President for the University of California System, and is now launching a comprehensive leadership training program for faculty. Over the past 30 years at UCLA, Dunkel Schetter has accumulated a distinguished record of research, teaching, and service. She has successfully mentored many undergraduate and graduate students, postdoctoral scholars and junior faculty, for example, enthusiastically nominating numerous students and faculty for professional honors and awards. Professor Dunkel Schetter’s research program has received national and international recognition for its innovations in understanding stress, coping, social support processes and health. She has conducted ground-breaking studies on stress processes in pregnancy that included prospective longitudinal studies of thousands of pregnant women of diverse ethnicity and socio-economic backgrounds. 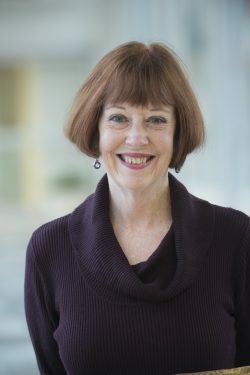 Among the contributions is that she and colleauges have documented that prenatal anxiety predicts preterm birth and that HPA processes are involved in the mechanisms responsible.. She was also one of the lead editors for the 2017 special issue in TheAmerican Psychologiston close relationships and health. Dunkel Schetter has published over 180 peer-reviewed articles and has had continuous extramural funding since she began her career in 1981. Chris Dunkel Schetter is the recipient of numerous honors including the Senior Scientist Award in Health Psychology and the Strickland-Daniel Mentoring Award from Division 35 of the American Psychological Association. In 2016 she received the prestigious Cynthia D. Belar Award for Outstanding Contributions to Education and Training in Health Psychology from the Society for Health Psychology. She has been elected as a fellow of APA Divisions 38, 9 and 8, the Society of Behavioral Medicine, the Society for Experimental Social Psychology, the Association for Psychological Sciences and the Western Psychological Association. 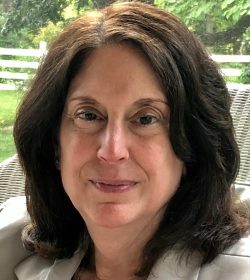 She has served as Program Chair, Member at Large, and on the Fellows Nominations Committee among other activities for Division 38, and attended the Arden House conference that launched guidelines for training in Health Psychology in the early 1980s. Please join me in congratulating Dr. Dunkel Schetter in receiving the Nathan W. Perry Jr. Award for Career Service to Health Psychology.